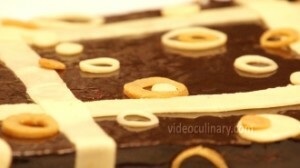 Souvenir is a delicate cake made of almond sponge layers filled with chocolate ganache. 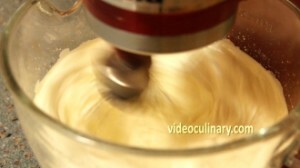 Whip 3 eggs with 150 grams (5.3 oz) of powdered sugar on high speed with the whip attachment until very light. 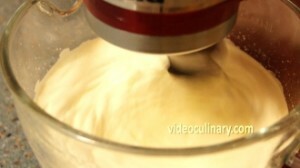 In a separate bowl, whip 3 egg whites until frothy. 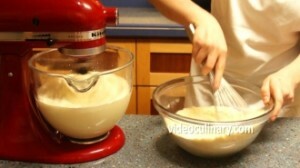 Gradually add 15 grams (1/2 oz) of sugar and whip until medium peaks form. 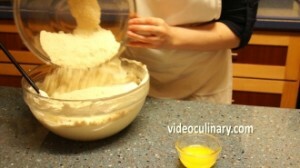 In the meanwhile, combine 40 grams (1.4 oz) of flour with the 140 grams (4.9 oz) of almond flour. 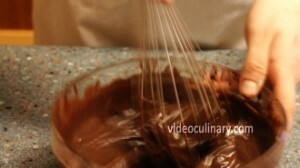 Mix well using a whisk. Gently fold the egg whites into the egg mixture in two batches. Fold in 60 grams (2 oz) of cool melted butter. 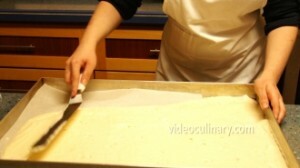 Spread the batter onto a 40×60 cm (16×24 inch) sheet tray lined with parchment paper lightly sprayed or brushed with oil. Bake at 200°C (400°F) for 7 minutes. Cool the cake in the pan. 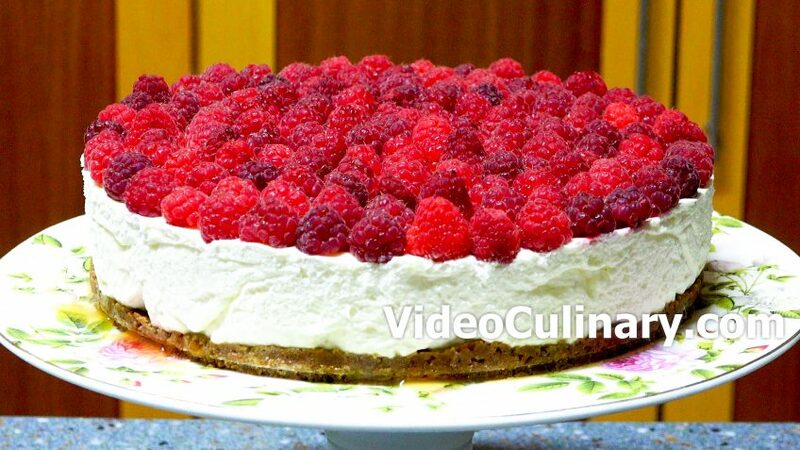 Run a small knife around the sides of the pan to loosen the cake. 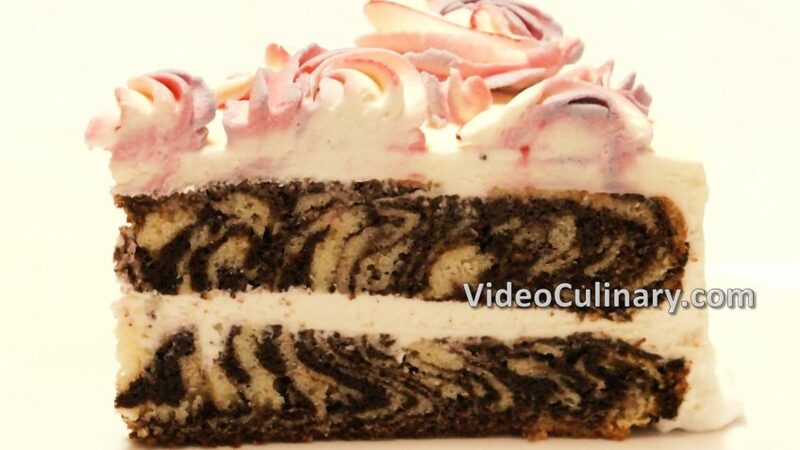 Invert the cake and peel off the parchment paper. Cut into six equal rectangles. 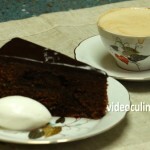 Make the ganache: Bring 250 ml (8.8 oz) of heavy cream to simmer, and pour over 250 grams (8.8 oz) of chocolate. Stir to blend, cover with plastic wrap and refrigerate for at least 30 minutes. 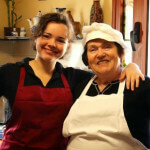 Make the simple syrup: Combine 50 ml (2 fl oz) of water and 50 grams (2 oz) of sugar in a sauce pan and bring to boil. 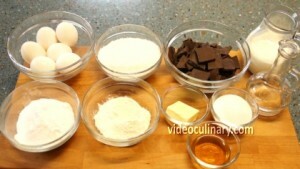 Remove from the heat, cool, and add 25 grams (1 oz) of amaretto. 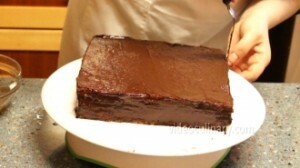 To assemble the cake, brush each layer with the amaretto simple syrup and the ganache. 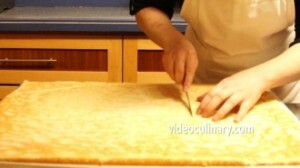 Repeat with 6 layers of sponge. 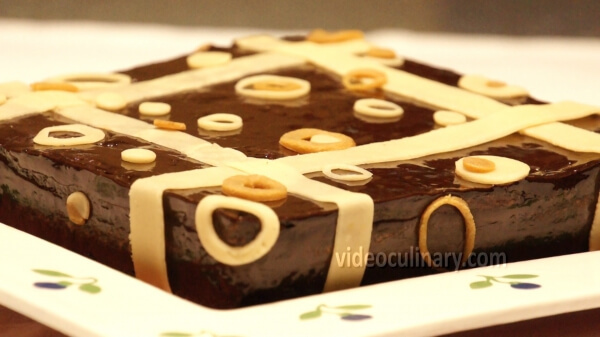 Cover the sides and the top with the ganache. 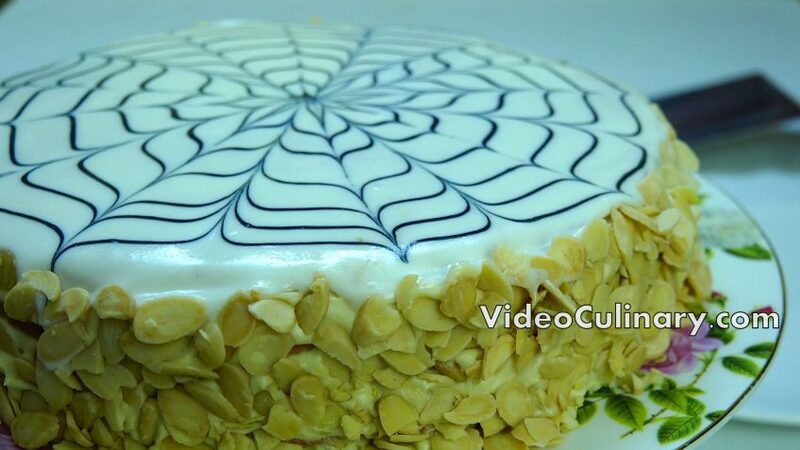 We use marzipan to garnish the cake.